Healing Emotions. 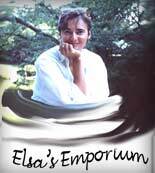 A Quest for Buried Love, Buried Feelings and for Inner Healing, Emotional Healing. Now, the Launch of the Feeling No Love Story. and Inner Healing, Emotional Healing. Today's the day - a huge first for me. A little mini-launch of an ebook! The beginning has been on the web for months. The whole ebook is my first ever "product." alcohol. People hooked on too much of something. When you think of not loving, most people come to one of two things. First, loving too much - as in the bestseller, Women Who Love Too Much, about women who stay with men who treat them terribly. Second, you may think of the opposite extreme, people who feel nothing for others, are ready to cheat old ladies out of their life savings. That's not what Love-Not Junkie is about. It's about not being able to love, or having a hard time feeling love, even when we long to. I remember longing to love, to meet the right person to fall in love with. I felt flashes of in-love-ness. I also care a lot about people - I care to help, to do good, to make the world a better place. But living a a deeply loving way. How? I couldn't find out how - though I wrote love poetry that came from deep inside, and though I've felt a lot of grief at endings. including the full ebook, Buried Love, click here . For once, only one thing. 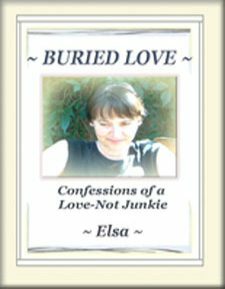 So click here to see if Buried Love - Confessions of a Love-Not Junkie appeals to you. PS. One more thing. In Buried Love, I mention a couple of tools I've found useful. One of them comes from "the barefoot doctor." He's spent his life exploring chi (as in t'ai chi). If you'd like to see if his approach appeals to you, here's a free video on how to access more chi. PPPS. By the way, the link to the chi exercises is an affiliate link - meaning I'm recommending them to you, and if you should buy anything, I get something. and for Inner Healing, Emotional Healing. Now, the Launch of the Feeling No Love Story.